Why Pep Guardiola needs to think about who he’s going to sign in the summer is beyond me. However the Manchester City manager is eyeing up a shock move for one of his former clubs according to reports. There’s 10 games left of the season and Manchester City need to win just five of them to guarantee the league title. Considering they’ve only lost once so far in the Premier League this season that feels like a given. 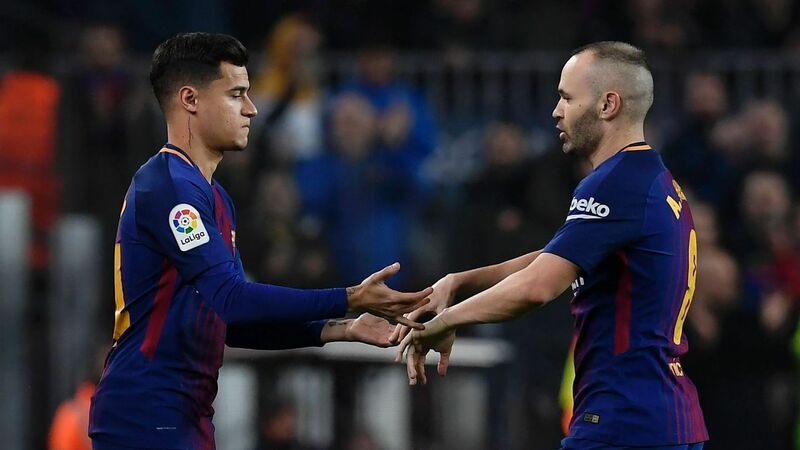 The newspaper reckon that Barca’s signing of Philippe Coutinho in January as Iniesta’s long term replacement could mean that the World Cup winner considers his future. He’s likely to retire from international football at the end of the season and Barca’s pursuit of Antoine Griezmann will mean less club football for the 33 year old midfielder. A big move, a huge pay day and the chance to reunite with Guardiola could lure the Camp Nou legend to move from Spain to the Premier League and the chance to become a coach with the club after he retires could also help persuade him. Of course his love affair with the Catalan giants could mean he stays but the City manager will certainly monitor the situation and his experience would be a welcome addition to the team.